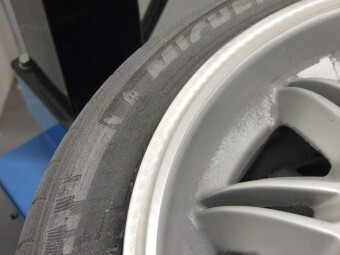 The Repair process shown below is a cosmetic "quick fix" only. 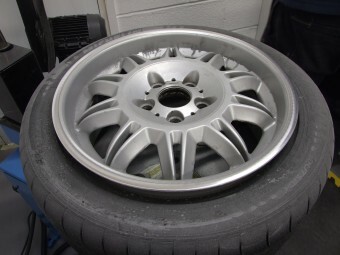 Autoshine would recommend our alloy wheel refurbishment service as a better repair solution. 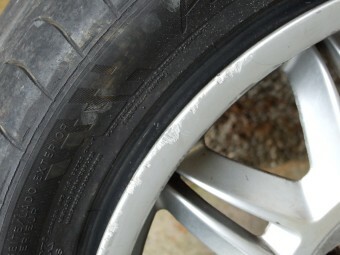 Rim Damage - This wheel has been subject to the kind of kerb damage that is commonly seen on alloy wheels. There is damage to the lip as well as some corrosion under the lacquer. 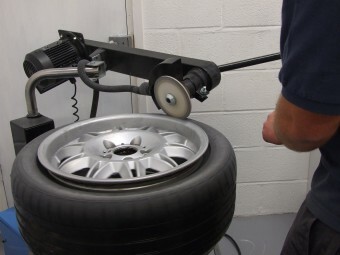 Cleaning - Before doing anything, the wheels are cleaned and degreased so that they can be thoroughly inspected for damage. 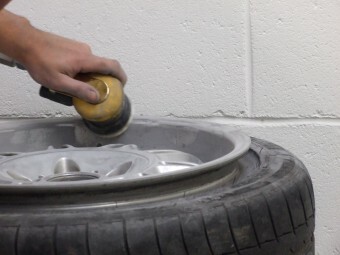 The tyre has also been deflated and the bead of the tyre pushed away for access. 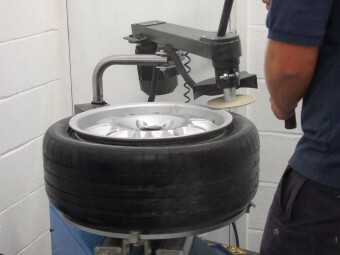 preparation - After inspecting for damage the wheel is mounted on the grinding jig and using our special grinding machine, the damage is ground out to leave a nice smooth finish. 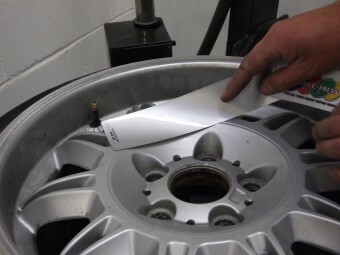 Any deeper marks can be filled with a special filler. 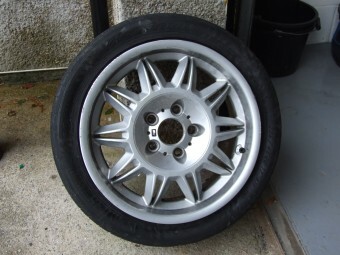 The rest of the wheel is sanded down ready for painting. A suitable colour is also chosen. 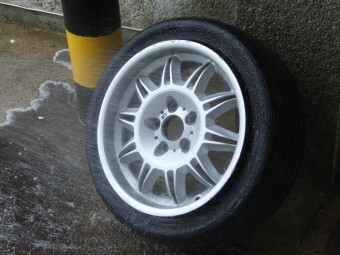 painting - Before painting the wheel is cleaned and degreased once again. 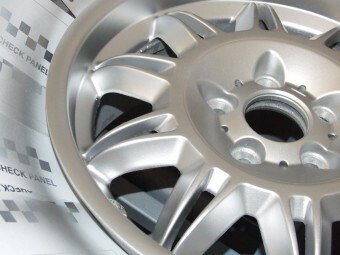 A special alloy wheel primer is used to prime the bare metal. 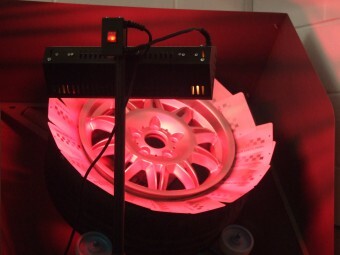 When dry the colour is sprayed on followed by the protective clear lacquer which is cured using an infra-red lamp. 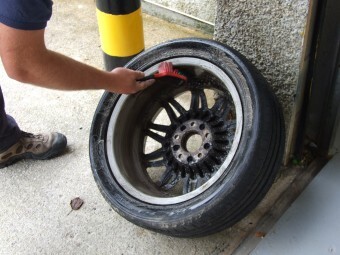 After curing the wheel is ready to be re-assembled and put back on the car.